This morning, President Obama has announced rules regarding police use of military-grade weapons and equipment. 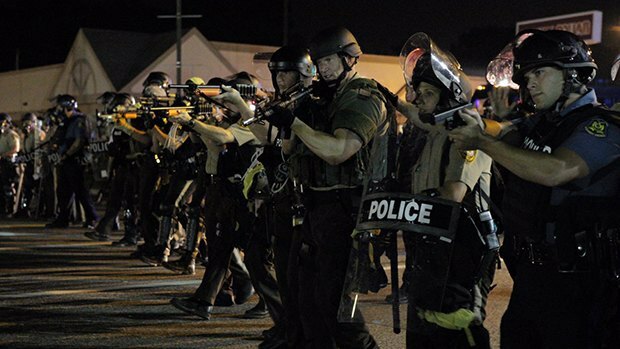 The US federal government is thereby prohibited from providing certain military-style equipment to local police. In turn, the local police are banned from using "tracked armored vehicles, weaponized aircraft and vehicles, bayonets, grenade launchers, and large-caliber firearms." Police access to items like "armored vehicles, tactile vehicles, riot gear, and specialized firearms and ammunition" will be restricted. Police are now required to request use of this restricted equipment by explaining their plans in detail and will only be granted access after approval from the local mayor or other governing official. They will also be required to collect data about their use. These rules have been in development since January, when Obama formed a federal group with representatives from the Department of Defense, the Justice Department, and Homeland Security to create new guidelines in response to the overly militarized force the police used against protesters in Ferguson and around the US. To quote Jon Oliver, "Because unless you live in downtown Kabul, there is no practical need for anything like that in your town."